Farrar, Straus and Giroux (BYR), 9780374355098, 240pp. School's out in Big River, Iowa, and Tex Donleavy, a kid who keeps his nose in the books and his deformed right hand deep in his pocket, is looking forward to a blissful summer in the company of Linda Volesky, the vivacious beauty who happens to be his father's girlfriend. Instead, Tex gets dumped on his mother's doorstep, where Farley Dickerson, the big oaf she's just married, and his two kids have made themselves at home. Nobody's more surprised than Tex, then, when he discovers he likes his new stepfather, that he actually wants to spend the summer at Mom's, and that he - Tex Donleavy - is going to play ball on Farley's Little League team. And then there's the plucky and brooding Jack, Farley's daughter, who becomes Tex's closest ally, as well as his greatest source of confusion. In all, it's shaping up to be a summer full of surprises - though nothing can prepare Tex for the biggest surprise of all, a secret so terrible that it will change the lives of every member of his family. 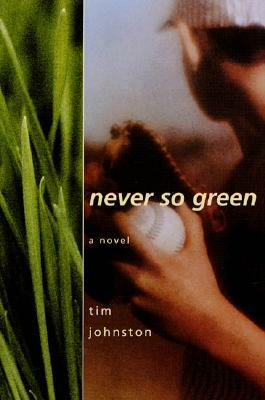 Through his careful, lyrical prose, Tim Johnston expertly balances the pain of inching toward maturity with sly humor, making his fiction debut an auspicious occasion.